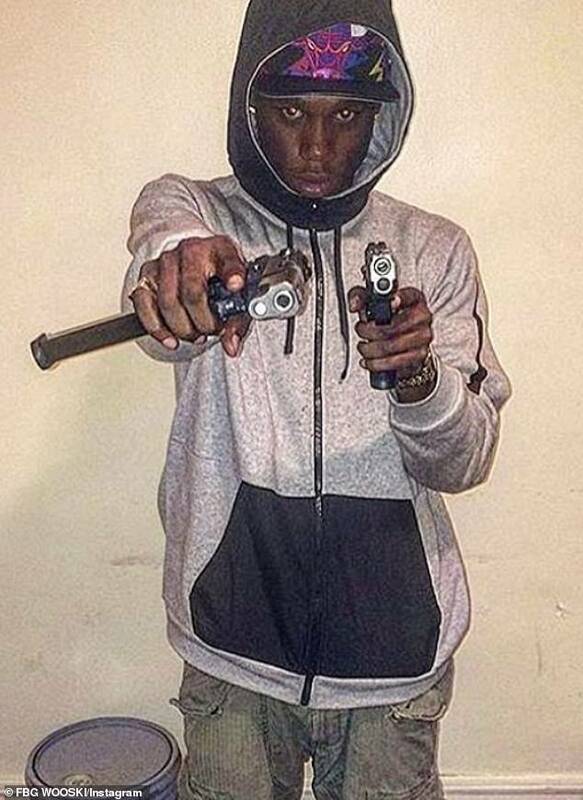 CHICAGO — Police took steps on Tuesday to stave off retaliatory attacks by street gangs after a Chicago rapper known for taunting rivals on social media was shot in the head in a shootout during a funeral for his friend and a fellow rapper killed earlier in October. Five others were injured in the Monday afternoon shooting, though none as seriously as 21-year-old rapper Marvel “FBG Wooski” Williams. Witnesses described hearing around 40 shots as two groups exchanged gunfire along a two-block stretch of a busy street on the city’s South Side. Police are monitoring threats of retaliation posted on Twitter, Facebook and other social media sites after the shooting, and officers planned to hold community meetings Tuesday night in a bid to ease tension, Chicago Police Department spokesman Anthony Guglielmi said. “We want to make sure there are no future acts of retaliation from either side,” he said. He added that the investigation, including into possible motives for the attack, were ongoing and that there have been no arrests. Police did not release Williams’ name, but the singer’s official Instagram account confirmed he was the one shot in the head. Other media also said it was him. Williams was a friend of the rapper whose funeral was being held in a church next to where the shooting occurred. The shooting happened in the city’s Burnside neighborhood, where historic rivals the Gangster Disciples and the Black Disciples have a strong presence, according to gang maps published this year by the Chicago Crime Commission. Williams sings an aggressive style of homegrown Chicago rap called drill rap, in which rappers disparage other rappers and gangs. These days, police often cite songs and other messages posted on social media as a major factor in gang-related beefs that turn deadly. The other five injured Monday were in stable condition with gunshot wounds to their extremities, police said. Monday’s shooting was outside the Bethlehem Star Missionary Baptist Church where the funeral for the rapper, Vantrease “Dooski Tha Man” Criss, was being held. Police said investigators are looking at any links between the funeral and the shooting. Some of Williams’ postings on YouTube and Instagram show him in what he describes as opposition gang turf, daring enemy gangs to stop him. His music video for the song, “Computers Remix,” similarly challenges perceived foes as he wields a gun and flashes gang signs. The video has drawn several million views.